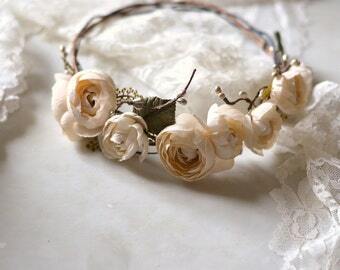 This bridal hair wreath features an array of white blossoms accented by sage leaves. 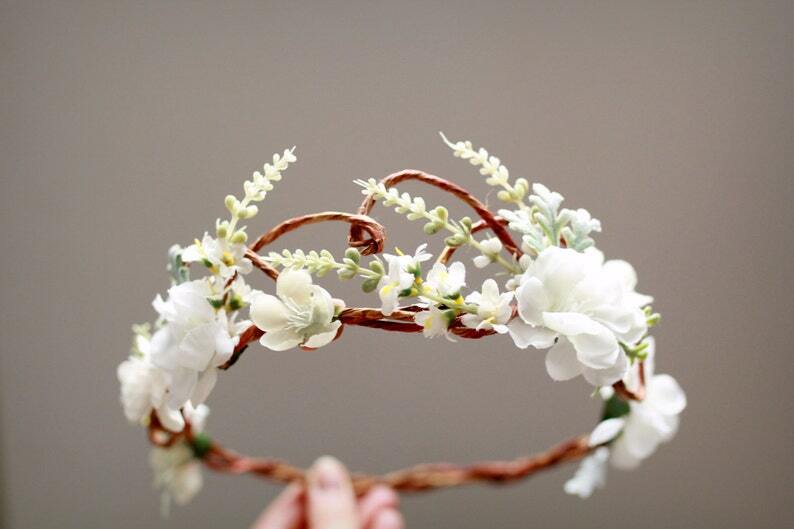 The base is a hand woven circlet created with wired vines in a whimsical tiara design. Well made, looks beautiful. 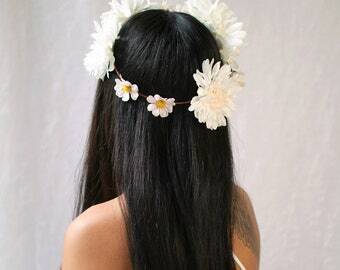 Lovely touch to a gorgeous bride.